I've been married for almost seven years now and in that time, I've watched my wife use more skin care products than I could have reasonable imagined even existed. I am ashamed to say that I was that guy who really didn't care about what type of soap I used as long as he got clean. I was on the opinion that my skin was resilient enough that it didn't matter what I used. However as I've gotten older, I've recognized that taking better care of my body goes beyond just eating healthy and exercising but also includes how I care for my skin. Fortunately, I had my wife to turn to for advice and I gradually found myself using some of her products. Still didn't remember their names but I figured if she bought them, they were good enough. 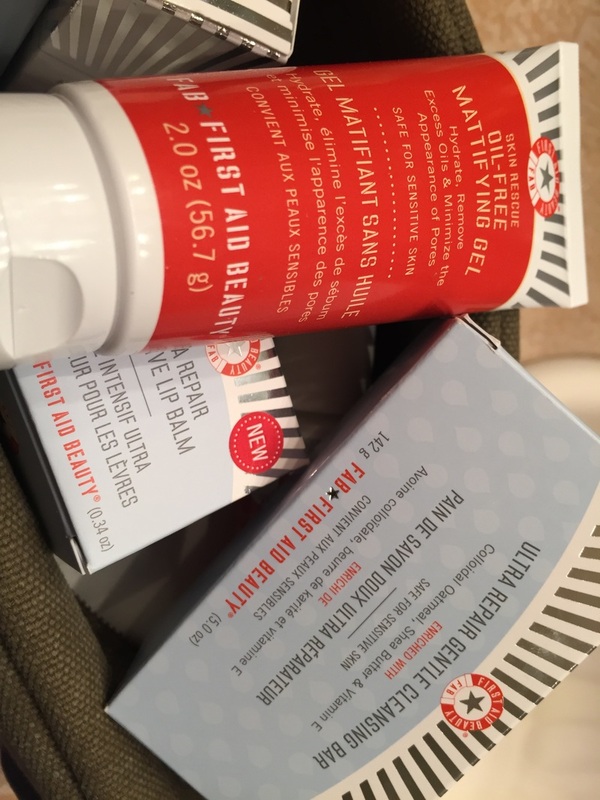 Then I received a surprise package from First Aid Beauty. I held off on sharing my thoughts until I used the products for over a month. If I learnt anything from my wife, it's that some products definitely don't work on certain skin types. I also wanted to use them consistently enough to be able to give an honest perspective on how they really worked. To be quite honest, it took a while to get used to using that many products each day, but so worth it. Of course before I started using any of it, I hopped online to see what goes into the product. No parabens or harsh chemicals. Cool. So I began with the daily face cleanser then the facial skin rescue blemish patrol pads, These pads contain tea tree oil, willowbark extract and evermat. After a couple of weeks, I noticed that not only did my face appear much clearer, I didn't end up with the oily face I normally have at the end of the day. Or to borrow some language from the First Aid Beauty website, "clear, refined and well balanced". 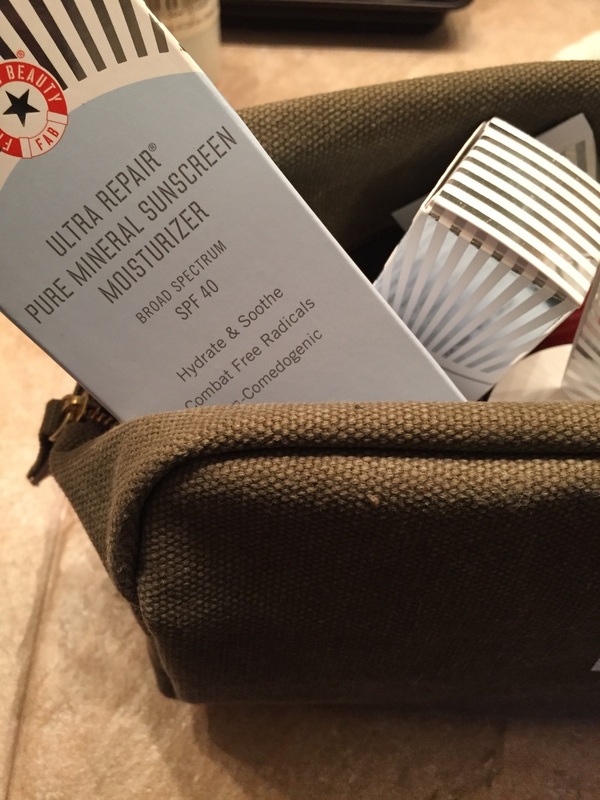 After using the pads, the next step in my routine is to apply the ultra repair hydrating serum. Then I wrap it all up with the face moisturizer. Also included in the kit were a cleansing bar, body cream, and lip balm amongst other things. While I won't go into too much detail, they work. 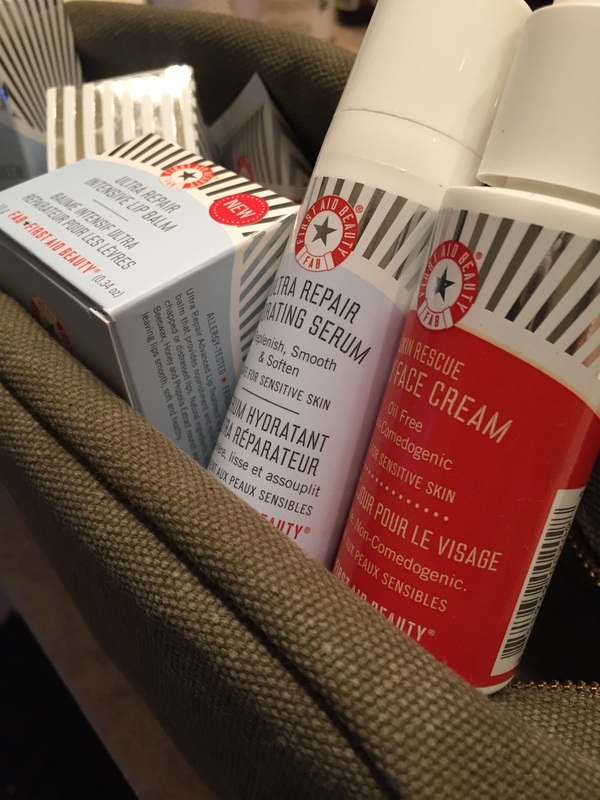 While I'm not a skin care product expert by any stretch of the imagination, I think any products that are free of harsh chemicals and known allergens, including parabens, phthalates, alcohol, fragrances and artificial dyes are the way to go. Some of their products also boast FDA-approved over-the-counter formulations that target specific skin issues such as eczema and acne. In the spirit of full disclosure, while I did receive the products as a gift, there was no expectation or obligation behind the gift. However, the reason this blog exists is to curate a full living experience and to share things that I find value in. These products worked for me and as such, I am sharing them with you. Price wise, some may consider these products not inexpensive (for example, a 5 oz. tube of the face cleanser runs $20), I would say they are well worth it. I'd compare it to eating better. In comparison to junk food, or even conventional products, buying organic can be considered expensive. Yet, it's much better for you. OK, off my soap box. 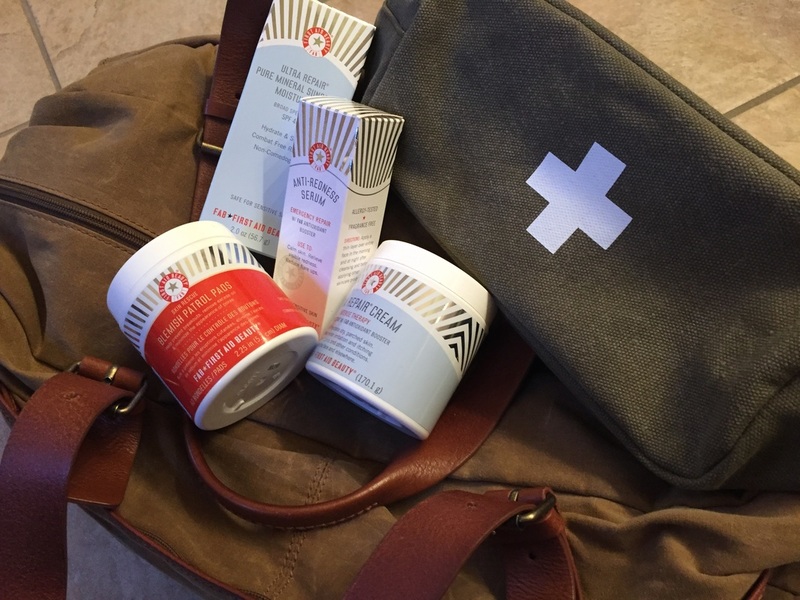 Check out First Aid Beauty.